The well-known Fritz Hansen - Ro Chair by the Spanish designer Jaime Hayon is now available for two people as a comfortable sofa. The curvy silhouette, playful expression and refined construction has been retained in this version, giving the sofa a modern quality that combines aesthetics and function. With its unusually high backrest and armrests, the sofa invites you to relax, just like the armchair. The upholstery piece of furniture acts as a haven of tranquility, in which you can close yourself off from the outside world and allow yourself to be in complete and total peace. 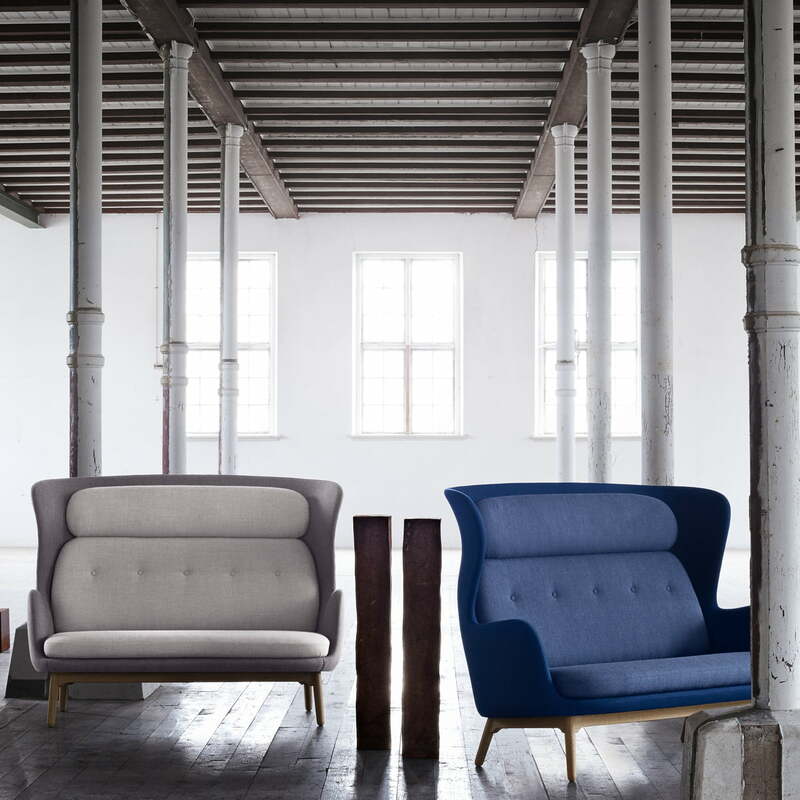 Ro means peace in Danish and describes the character and purpose of this comfortable sofa. 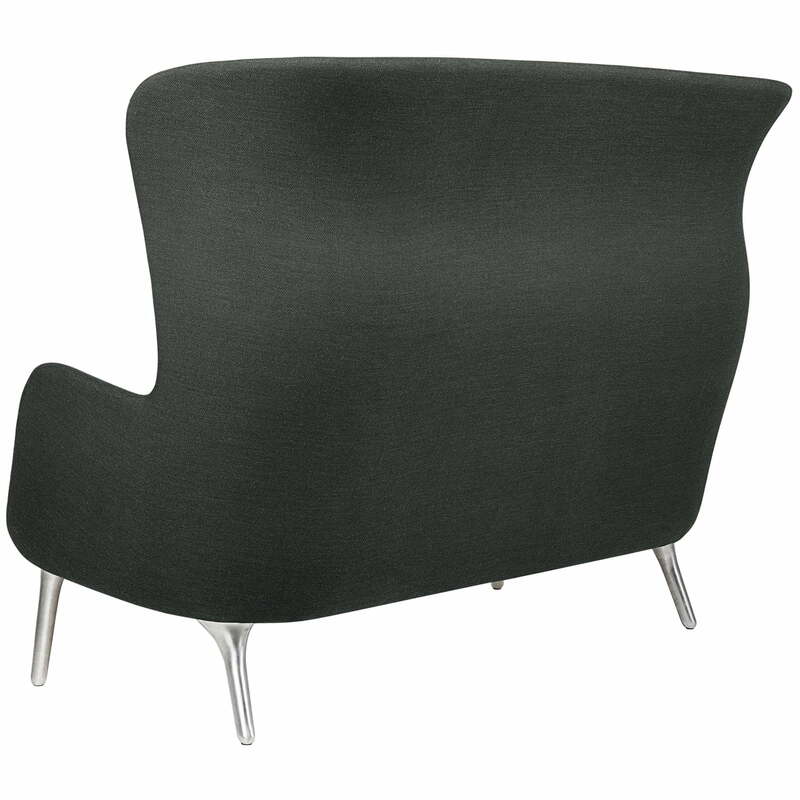 The Ro sofa is manufactured according to the highest standards of quality by Fritz Hansen. 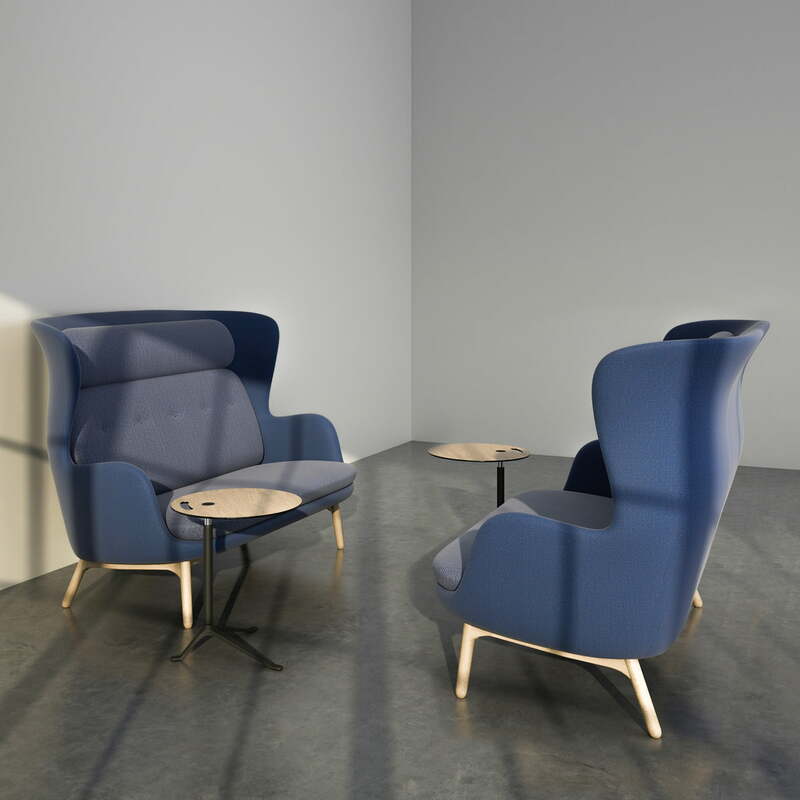 The result of this unique combination of sculptural and elegant design is a functional and aesthetically appealing sofa that will be an eye-catcher in any environment. The Ro sofa is available in different colour variations and with a frame made of wood or aluminium. Isolated product image of the Fritz Hansan - Ro Sofa. 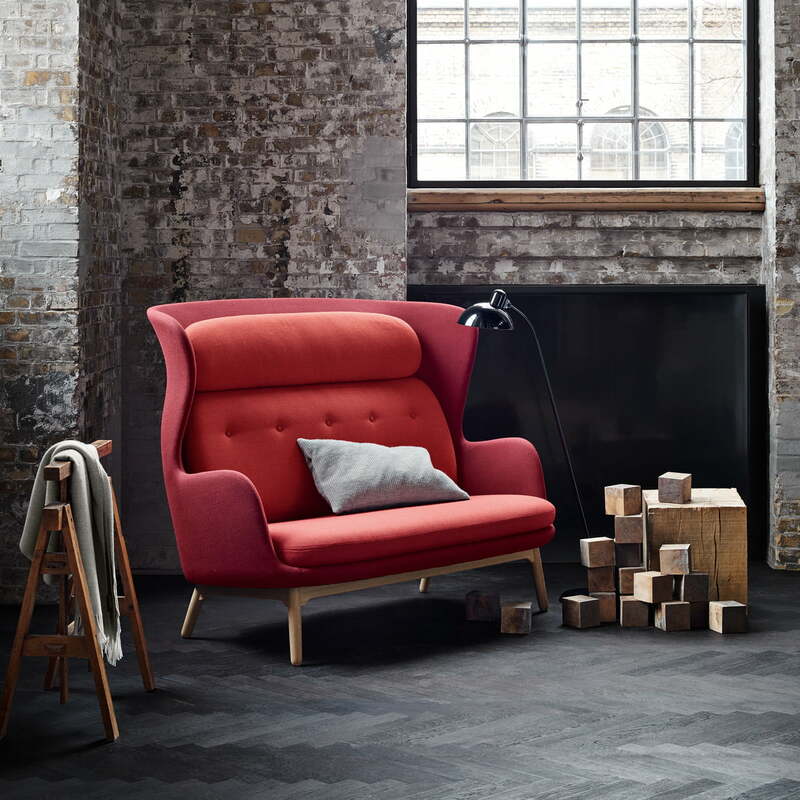 Elegant and playful at the same time, the comfortable Ro sofa is a stunning sofa by the Danish manufacturer Fritz Hansen. Back view of the Fritz Hansan - Ro Sofa. The well-known Fritz Hansen - Ro Chair by the Spanish designer Jaime Hayon is now available for two people as a comfortable sofa. 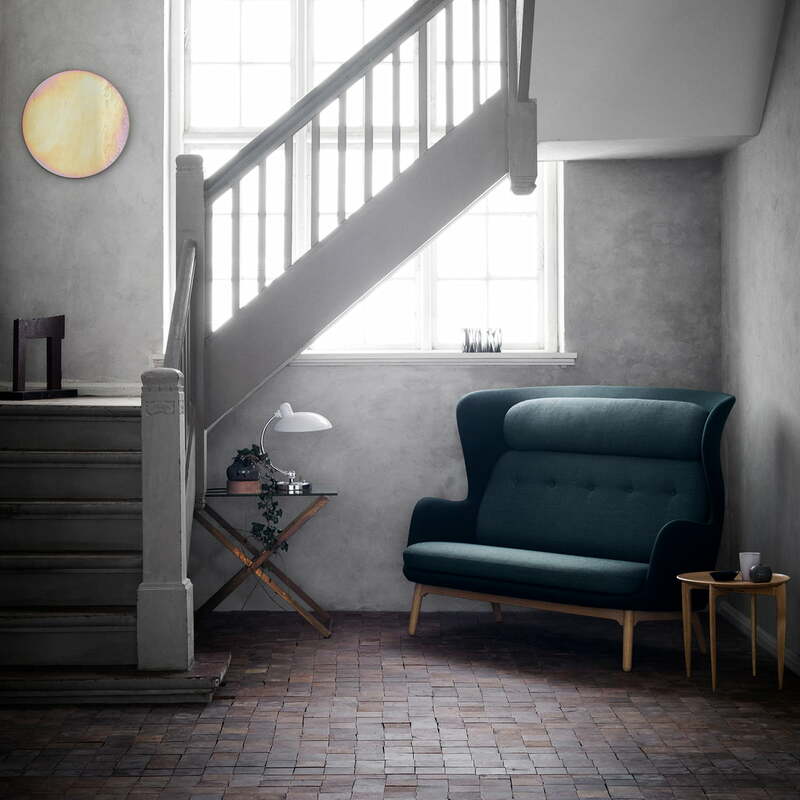 Lifestyle product imageof the Fritz Hansan - Ro Sofa by the staircase. 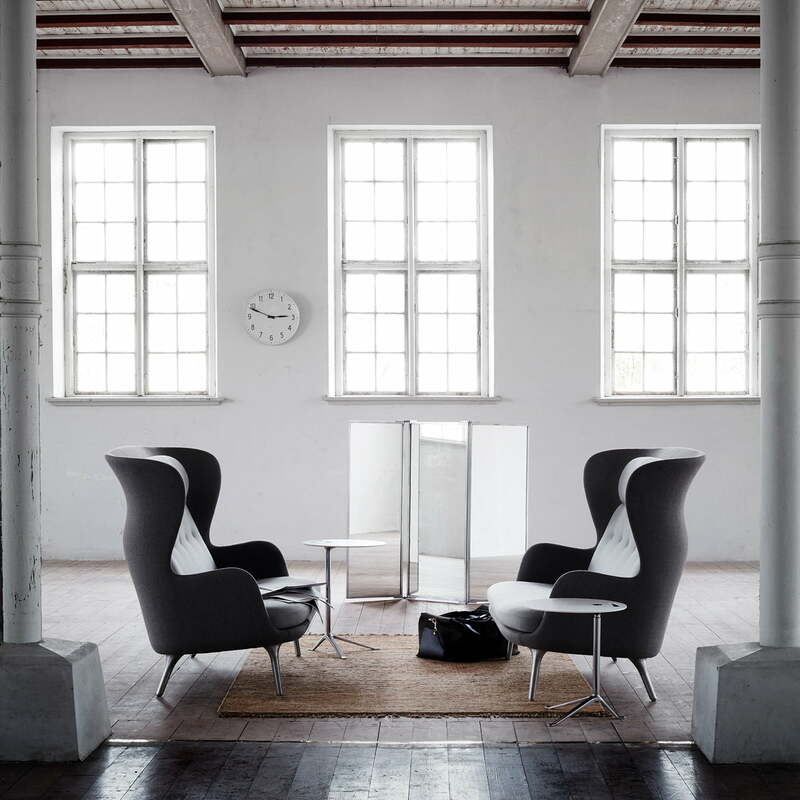 Ro means peace in Danish and describes the character and purpose of this comfortable sofa. Lifestyle product imageof the Fritz Hansan - Ro Sofa. Here, the upholstery piece of furniture acts as a haven of tranquility, in which you can close yourself off from the outside world and allow yourself to be in complete and total peace. Lifestyle product imageof the Fritz Hansan - Ro Sofa. With its unusually high backrest and armrests, the sofa invites you to relax, just like the armchair. 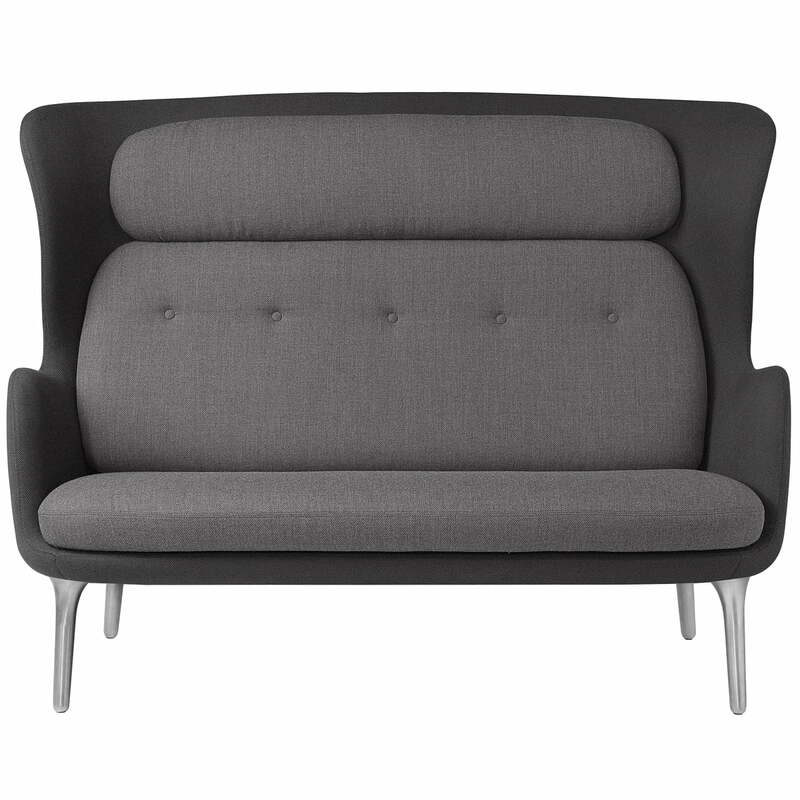 Group product image of the Ro sofa by Fritz Hansen in two colour variations. The Ro sofa is available in different colour variations and with a frame made of wood or aluminium. Lifestyle product imageof the Fritz Hansan - Ro Sofa. The curvy silhouette, playful expression and refined construction have been retained in this version, giving the sofa a modern quality that combines aesthetics and function.